The new Survival Mode in Fallout 4 is a brutal, unforgiving experience that punishes you in a multitude of ways. Not just a difficulty increase, this mode changes the way you’ll experience the wasteland. By adding survival and simulation elements, you’ll now have to control your hunger levels, get sleep, stay hydrated, and cure a murderer’s row of deadly status ailments. It isn’t easy to deal with your first time through, and if you’re curious what effects have been added to the Commonwealth, check out our full list of new debuffs and status effects, with all the cures and fixes you’ll need to stay alive. 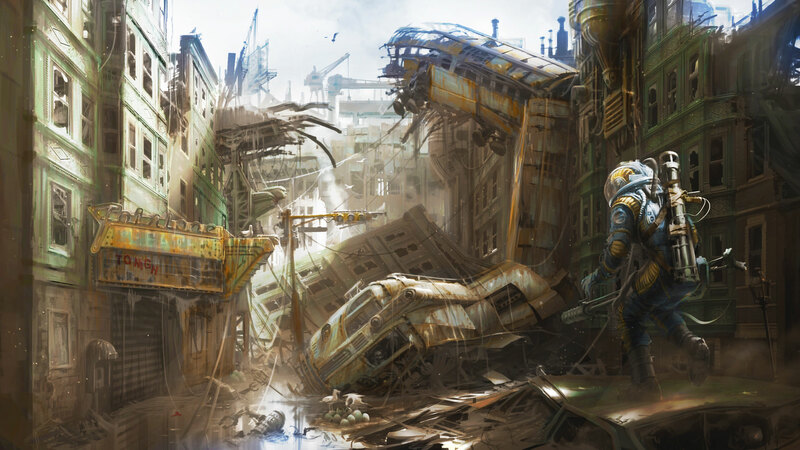 If this is your first foray in the post-apocalyptic world of the Fallout universe, try getting some help with our Ultimate Fallout 4 Starter Kit, with tons of guides, Easter eggs, and extras to explore. Survival Mode adds new status effects that will debuff the Lone Survival. Below you’ll find a list of status ailment types, how they debuff your character, and how to cure the problem. Note: ALL debuffs reduce max AP. These are unique buffs & debuffs only found in Survival Mode. Dark Craving: Must eat human flesh. Cannot cure hunger with any other type of food. Caused by the Cannibal perk. Well Rested: +2 END, +2 AGL, +10% XP (Limited Time) — gained from sleeping in player-owned bed. How to Cure: Craft Antibiotics from a Chemist Station + [Chemist Rank 1]. Requires: Acid (2), Purified Water (2), Stimpak (3), Glowing Fungus (3) — Found in First Aid / Yellow Chem Boxes. Sold by vendors. Weakness: Take +20% more damage. Lethargy: -50% slower AP regeneration. Infection: Continuously take bleed damage. Similar to poison. Insomnia: +2 hours of sleep required to stay rested. Parasites: Must eat x2 as much food to avoid hunger. Sicknesses are random ailments that are more likely to occur if your immune sickness is weak. Using chems, eating uncooked meat, drinking irradiated water, and taking damage from ghouls or bugs — all increase your chances of contracting an ailment. How to Cure: Eat any type of Food. When eating food to cure hunger, you will not gain any buffs or HP regeneration. The stronger the debuff, the more food you must eat. Starving: -10 END, -5 CHR, -3, LCK + continuously take bleed damage. How to Cure: Drink Purified Water. When consuming water to cure thirst, you will not gain any buffs or HP regeneration. The stronger the debuff, the more Purified Water you must drink. Severely Dehydrated: -10 INT, -7 PER, -3 LCK + continuously take bleed damage. How to Cure: Sleeping in Bed. Sleeping bags no longer allow a full night’s rest. Use beds with mattresses to get the rest you need to cure these ailments. Worse debuffs may require longer periods of sleep.